What’s cookin’ in “Mom’s” kitchen this week? We are! Serving up some family fun by getting the kids involved in some hands-on time in the kitchen, We Can Cook by Jessica Levinson and Maja Pitamic have written an excellent resource to help families navigate around the kitchen together. With nutritious yet kid-friendly offerings, such as Salmon and Vegetable Kabobs, Happy Face Waffles, Cranberry Pecan Granola and Caprese Sticks, parents and their children will enjoy their time creating healthy meals with each other. Whether you want to learn alternative lunchbox ideas, or make breakfast more nutritious for all (Yogurt Parfait, anyone? ), We Can Cook has simple solutions and recipes everyone will love to dig into at mealtime! “Mom’s” favorites from We Can Cook include Grilled Plums with Yogurt Dip, Tofu Stir-fry, and Rosemary Pita Chips! Each chapter also has an activity idea outlined as the kitchen is an educational place! From pouring and measuring to making table settings, your little ones will be learning while having fun. 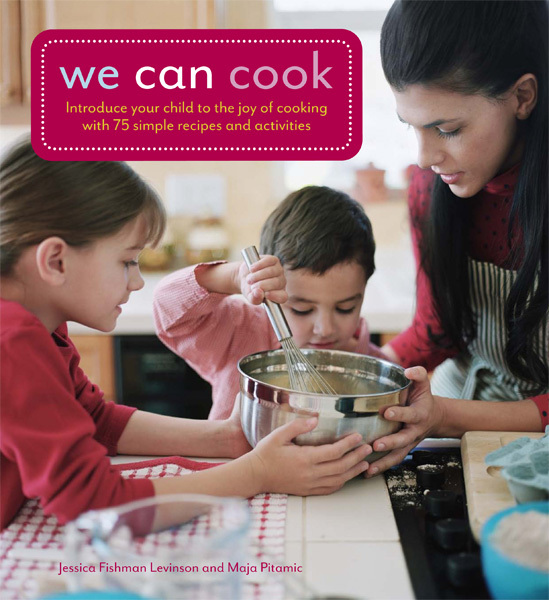 To learn more about this fabulous new cookbook and resource for families and their aspiring chefs, visit www.jessicalevinson.com. You can also order a copy of We Can Cook on Amazon.com. What books are on “Mom’s” summer reading list this year? Below are this summer’s top picks for everyone in the family – perfect for rainy afternoons, long car trips, or just relaxing poolside. 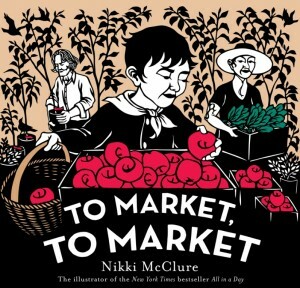 To Market, To Market is the perfect summer read to get young children excited about all the delicious fresh foods that are available this season, while offering awareness about how our food is brought from farm to table. 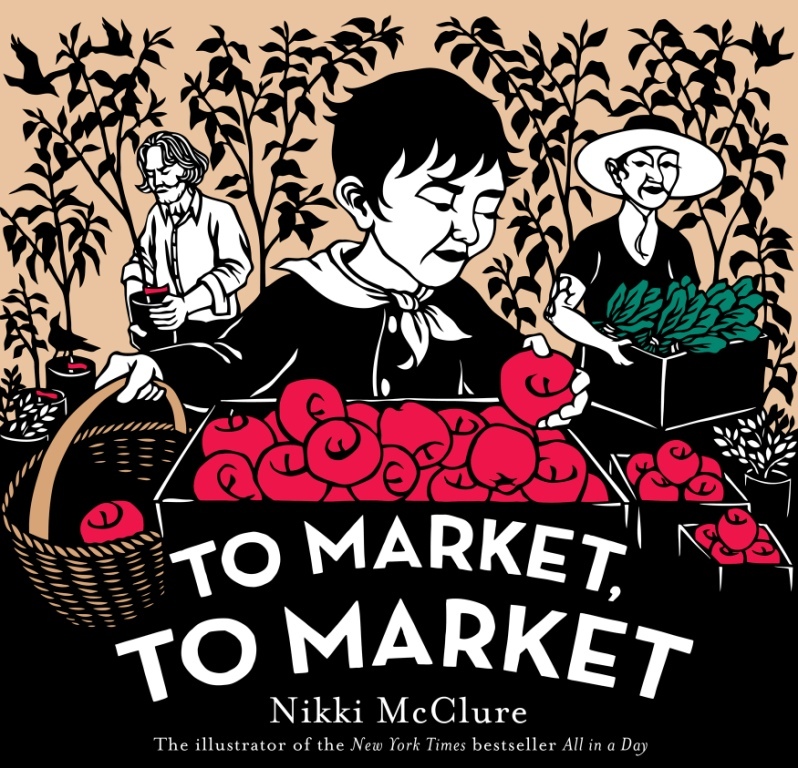 Read this delightful tale with gorgeous, engaging illustrations by Nikki McClure the night before a trip to the farmer’s market to prepare your little one for the next day’s green shopping event! The first book in this new adventure series for kids ages 7-10 takes the reader on a wild journey through the Australian Zoo on Bindi’s 11th birthday, where Bindi, the Jungle Girl herself, celebrates with her mother, brother, best friend Rosie, and other guests. Trouble at the Zoo, a fast-paced story for young wildlife enthusiasts, teaches an appreciation for wildlife and shows children what they can do to help conserve and protect the world’s endangered animals. Based on Bindi’s own adventures and passion for animal conservation efforts, each book in the series features animal fact files at the end. 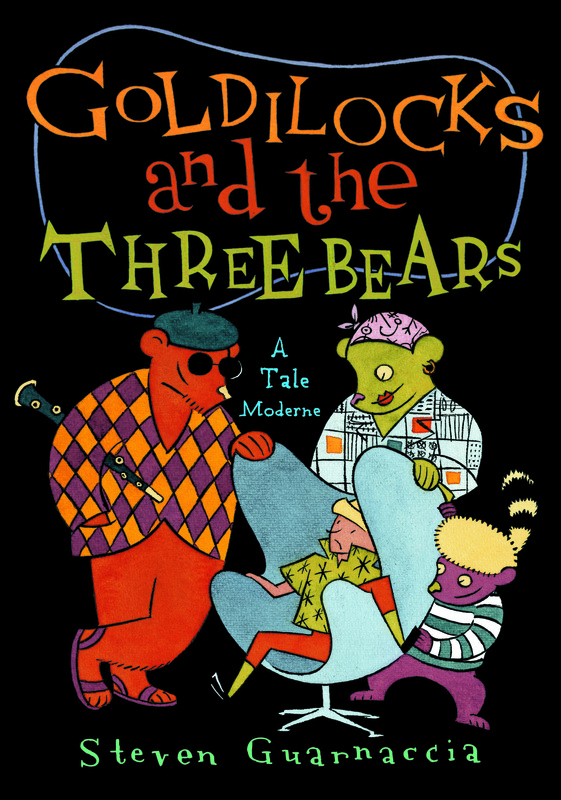 The series continues, as well, with a second and third story in this adventure series for kids! A true page-turner and story for anyone who has traveled, wishes to travel, or has lived overseas (like “Mom!”). In May 2007, physician David Boesch and his family-five strong, with kids age 7, 10, and 13-embarked on a trip that would bring them to 6 continents and 17 countries in 345 days. Boesch depicts the adventure of parenting in constant motion in this riveting, honest, and heartwarming memoir. 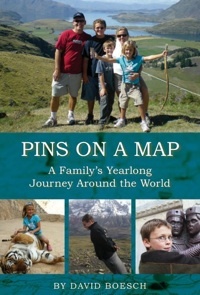 Definitely a fast-read – Pins on a Map makes you want to pack up your own family and start your own around the world adventure! 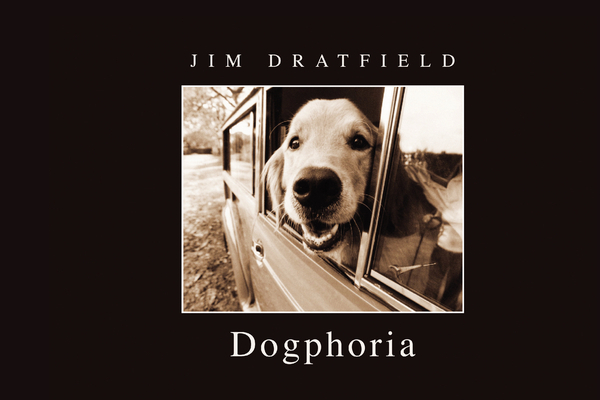 For the dog lover in all of us – Dogphoria by Jim Dratfield is a 132-page collection of candid photos of dogs together with insightful quotes that illustrate the companionship and loyalty of dogs. The quotes are inspiring, and the images capture the spirit of man’s best friend in a variety of candid shots. A perfect coffee table book to have on display for guests (or for yourself!) at your summer cottage, Dogphoria is light and enjoyable. Born to be wild… It’s potty time in our crib, and guess what we are reading before bed? 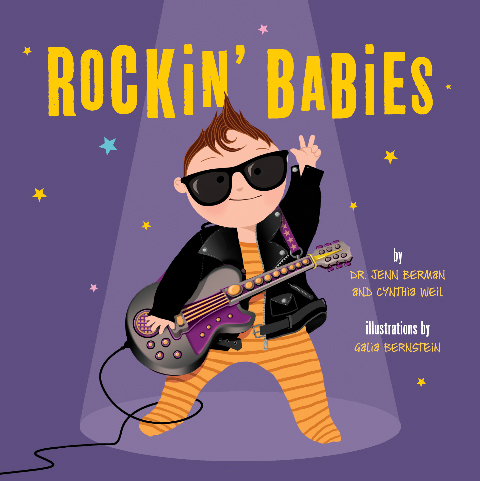 Rockin’ Babies, the uber-cool board book for your own wild child! With a clever storyline that both adults and children will enjoy, and colorful illustrations that make everyone want to break out an air guitar, this new children’s book is a rockin’ good time! Written by mother-daughter duo Dr. Jenn Berman and Cynthia Weil, this engaging story is definitely a winner for the whole family. The two have re-imagined the rock ‘n’ roll lifestyle in child-friendly fashion, and show us that every baby is a rock star! Fresh and hip, Rockin’ Babies is a tongue-in-cheek take on the starring role that babies play in their family, and new or seasoned parents alike will appreciate this charming, laugh-out-loud book. Whether your baby trashes his room, spits on authority figures, or goes on tour – you can relate to every situation in this page-turner! Rockin’ Babies makes a fabulous Father’s Day gift for the new or expecting dad (no cuddly teddy bears or fluffy bunnies here! 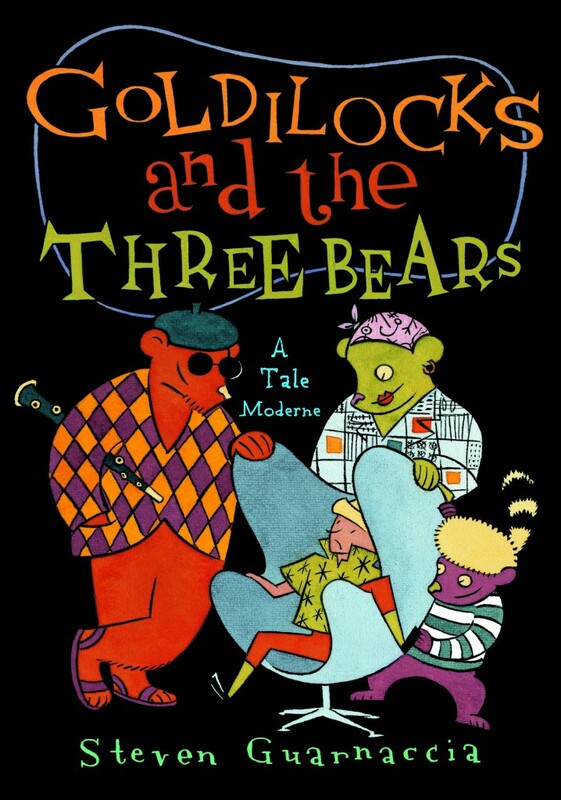 ), and is a great addition to any child’s library. Visit www.rockinbabiesbook.com to learn more about the authors or to order online. When you look in the mirror, you’ll like what you see. The other stuff’s easy-peasy to do. Are our very own dreams, how we love, think and speak. So embrace who you are. Now it’s your turn. Remember, once in a while, we’re all crocodiles. And you’ll be successful in all that you do. This feel-good story written by Claire Gutschow, of Fei’d Skin Care (what can’t she do!? ), and Sarah Spatz, is a great tool when teaching little ones about self-esteem! It is a gentle reminder that we are all unique and special, just the way we are. So celebrate your “you-ness” – whatever that may be! Claire Gutschow’s skin care company, Meld Labs, is funding and publishing the distribution of this book to children’s organizations in 3rd world countries. Meld Labs is committed to building self-confidence in kids in need, and doing so with humor and a story that we can all see an aspect of ourselves in at times. Claire invites you to read this story with your own children, and tell them again that you love them just the way they are! To order a copy of this delightful children’s tale, click here. Your parents’ lives revolved around you from Day One: from changing diapers through helping with homework, kissing boo-boos through dishing out dating advice, they’ve helped make you who you are today. But before fanny packs became their go-to accessory and minivans their car of choice, they were people, too! In a digital age where we can retake digital photos until they’re “perfec,” the wildly popular website My Parents Were Awesome bucks the trend by appluading the everyday heroes – parents – with vintage photos. Launched in 2009 by writer, comedian and editor Eliot Glazer, the online collection of old photos of parents before parenthood proves that parents were once young, fun, and effortlessly cool. Yes – you know you want to check it out! Now, Glazer combines the spontaneity and nostalgia of old photographs with stories by sons and daughters in a heartwarming collection of essays: MY PARENTS WERE AWESOME: Before Fanny Packs & Minivans, They Were People Too. With intimate memories from Jamie Deen, Christian Lander, Laurie Notaro, and other acclaimed writers, comedians, musicians, and artists – MY PARENTS WERE AWESOME celebrates the hilarious stories of real parents: the mom and dad who traveled by VW bus to see Led Zeppelin for $1, the grandmother whose halter top and shorts belied her perfect demeanor, the father whose wanderlust passed down to his equally nomadic daughter. A perfect gift for Mother’s Day, MY PARENTS WERE AWESOME includes a special section where you can personalize the book with your favorite image of your parents and write down your own cherished memories. With stories and photos that will warm your heart and make you laugh, the paperback edition of MY PARENTS WERE AWESOME reminds you to reflect, say thanks to Mom (and Dad) – and admit that, yes, your parents ARE awesome. To learn more, or to order in time for Mother’s Day to let your mom know how amazingly awesome she is, visit myparentswereawesome.com. Foster a love of reading right from the start with colorful, creative board books and soft books from Lamaze! With bright, engaging pages filled with eye-catching illustrations and some that crinkle for tiny hands to grasp and tug, these sturdy books stand up to the drool, gnawing, and other baby-isms! Your little one can sail along with Captain Calamari as he learns his colors under the sea, and snuggle with their very own plush doll while being read to by Mom or Dad. With age-appropriate content developed by noted child development expert Dorothy Singer, Ed. D., this line of first books by Lamaze is sure to be the family’s favorite. Each book is small enough to tuck in a diaper bag or purse for entertainment and stimulation in a pinch. From Farm Sounds to the Counting Zoo, learning becomes fun and enjoyable, and the back cover of each book includes play ideas, ways to use the book, the benefits of reading to your child, and developmental stages for that specific age. 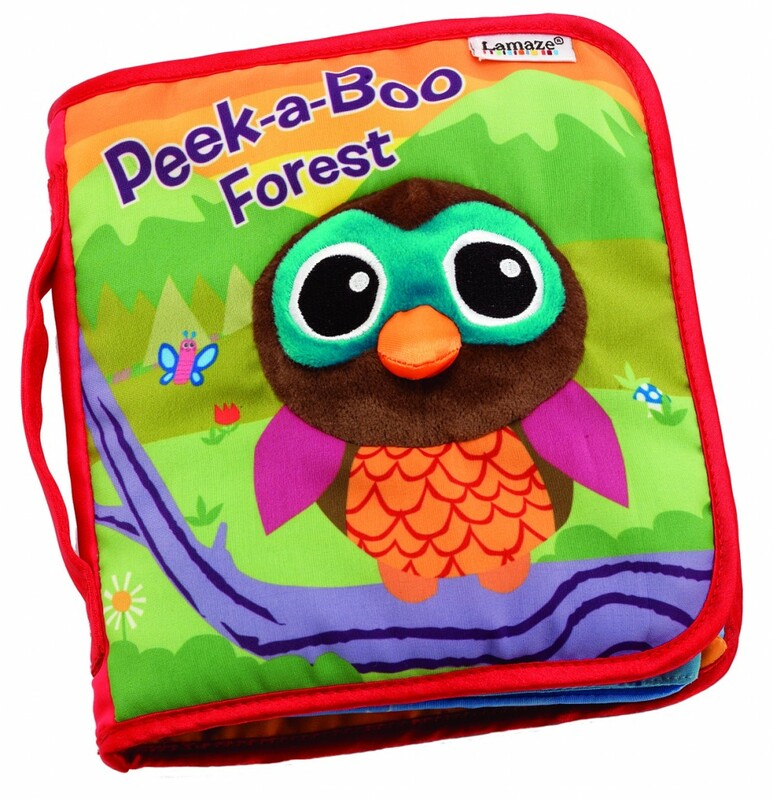 Your budding reader will love to play peek-a-boo with the lovable characters in the Peek-A-Boo Forest , and learn about knights and steeds in The Story of Sir Prance-a-lot! Funny voices and lots of extra tickles will have little ones bringing the books over to Mom or Dad to read again and again. The books make wonderful baby shower and birthday gifts, as well! 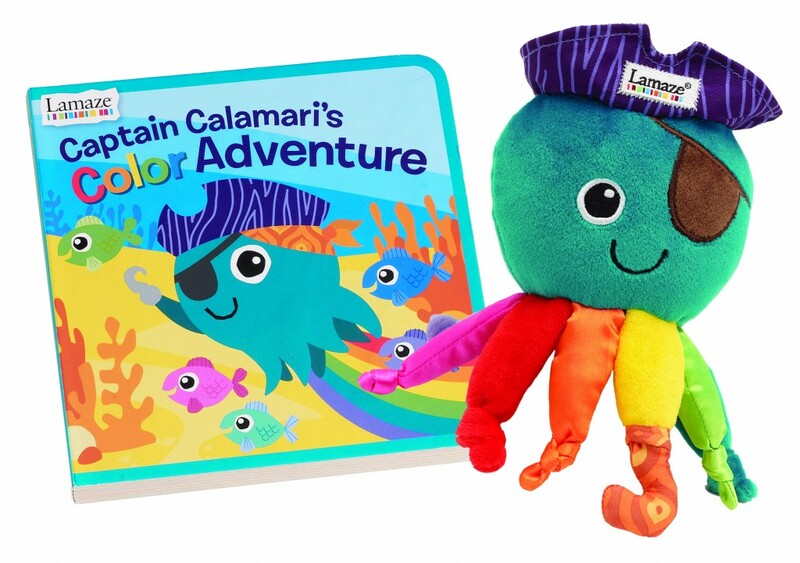 For more information about Learning Curve’s new Lamaze book line, or to locate a store near you, please visit www.learningcurve.com. The new adventure-filled, inspiring children’s book, Dream Big, Little Pig!, is making its’ debut in March 2011! 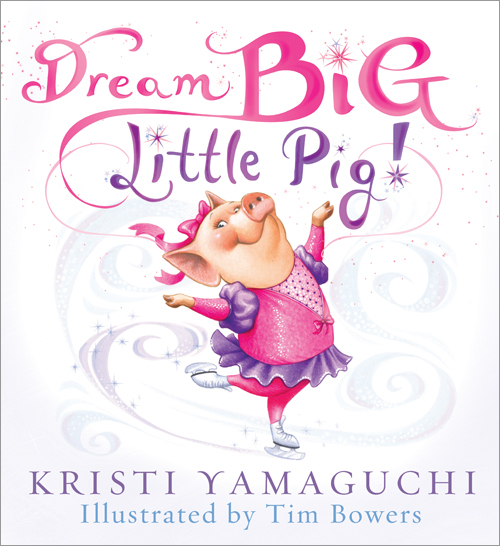 Written by Olympic Gold Medalist and Dancing with the Stars Champion Kristi Yamaguchi, this delightful story reminds us all to believe in our abilities and go after our dreams. Now a mom, Kristi Yamaguchi has written an incredible story that kids (and adults) will love to read again and again, and the illustrations are just gorgeous! You will be cheering little Poppy the Pig on as she dons a pair of skates – who says pigs can’t ice skate?! What is the premise of Dream Big, Little Pig? Poppy the Pig has big dreams—lots of them! But following her dreams isn’t always easy, and whenever Poppy thinks it might be time to give up, her family reminds her to “Dream Big!” While on a “pig’s day out,” she has so much fun ice skating that she doesn’t even notice those around her who think pigs can’t skate…and without even knowing it, she achieves her dream while doing something she loves! In this funny and inspiring tale that’s perfect for family read-alouds, Poppy realizes she can succeed at anything as long as she believes in herself and has fun doing it! Kristi Yamaguchi is an Olympic gold medalist and world champion who knows about dreaming big. The motto “Always Dream” serves as Kristi’s personal inspiration, as well as the name of her charitable foundation for children. This philosophy has contributed to Kristi’s success on and off the ice, and she aspires to instill it in the hearts of children. For more information, visit www.alwaysdream.org. http://tinygreenmom.com/wp-content/uploads/2018/07/logo-sm.png 0 0 Tiny Green Mom http://tinygreenmom.com/wp-content/uploads/2018/07/logo-sm.png Tiny Green Mom2011-03-11 06:00:382011-02-25 12:04:49Dream Big, Little Pig! A healthy diet starts at home, and what better way to encourage nutritious snacking than to get the kids involved in the process! Pick a recipe from the Wholesome Junk Food Cookbook, head to the store to purchase the ingredients, and make it a fun activity that brings the whole family together! Author Dr. Laura Trice is on a mission to make healthy eating more fun and provides easy-to-follow steps for each recipe. The Wholesome Junk Food Cookbook introduces the importance of eating healthy and promotes a healthy lifestyle. Inside, you’ll find familiar favorites like Cinnamon Buns and Apple Pie transformed into healthier desserts. 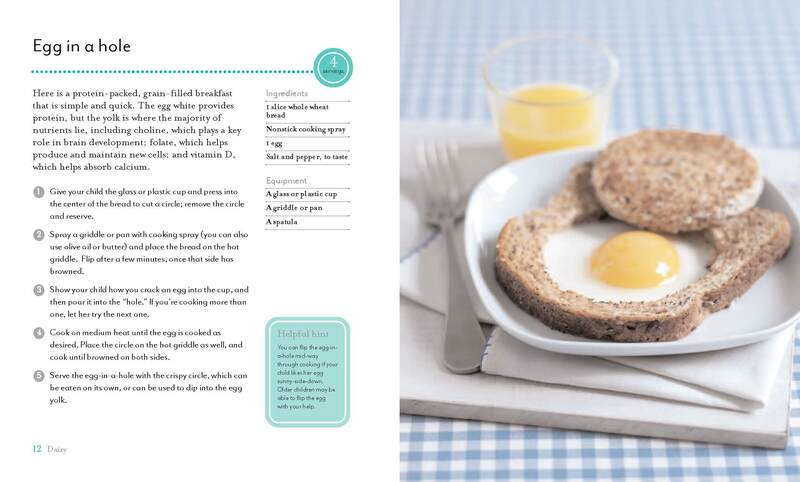 Along with great tasting recipes, each chapter contains a sidebar with nutritional and cooking tips. Both novice and experienced cooks will enjoy making such treats as Hot Banana Split S’mores, Hidden Candy Birthday Pops, and Homemade Whoopie Pies. 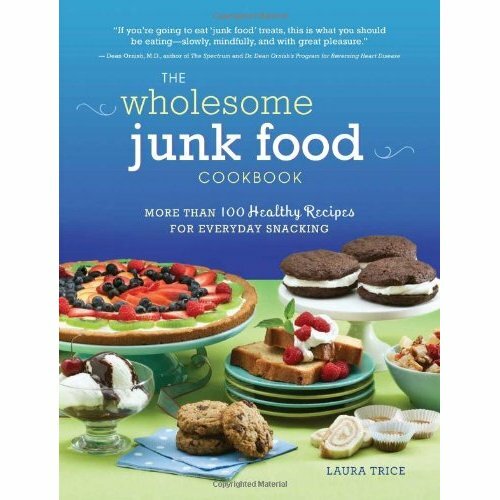 While The Wholesome Junk Food Cookbook is Dr. Laura’s first cookbook, she has spent years perfecting healthy yet great tasting food. In medical school she saw people suffering from illnesses that could have been prevented by better nutrition. She realized that like her patients, she only ate food that tasted great to her. Her passion for healthy, great tasting food led to the founding of Laura’s Wholesome Junk Food in 2001. You can find Dr. Laura’s Wholesome Junk Food at Whole Foods, Harris Teeters, and numerous health food stores across the nation carry Laura’s Wholesome Junk Food products. 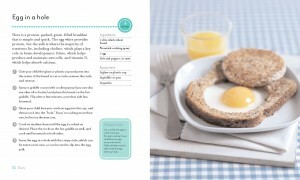 To purchase a copy of the cookook, please visit www.lauraswholesomejunkfood.com. Right now, one lucky Tiny Green Mom reader can win the Chocolate Lover’s Pack from Laura’s Wholesome Junk Food! You can enter the giveaway here. Start a new holiday tradition this year with a delightful new tale written by Judith Vicary Swisher and illustrated by Molly Mann! The Last Ornament makes its’ debut just in time for the season, offering families a new perspective on their most cherished Christmas ornaments that adorn their tree year after year. This is such a darling story that is told from the ornaments’ point of view, as they become excited about their special role during the holidays and get caught up in the festivities. All too soon, Christmas Day has come and gone, and it is time to pack up the ornaments, wrap them delicately and place them in their proper boxes – but wait! The family’s beloved ornament, Little Blue Engine, has gone missing, and the ornaments work together to alert the family that the train has not been packed away with the others. Will the “last ornament” be found in time? 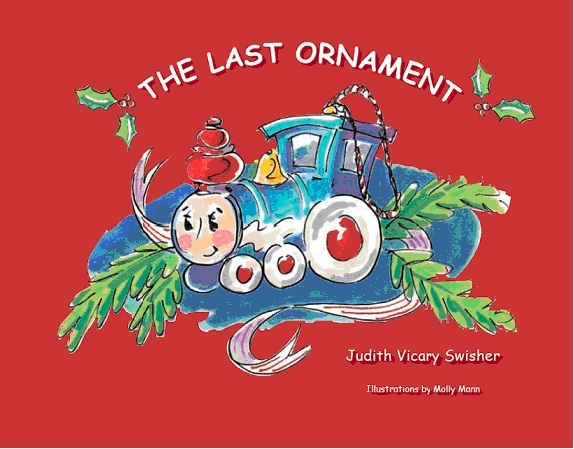 After reading this story to your children, Judith Vicary Swisher recommends taking the “Last Ornament” challenge. This is a fantastic way to involve the children in taking down the tree and ornaments, which is not usually as exciting as decorating the tree and home in preparation for the holidays. The helper who finds the almost-missed last ornament is the winner and receives a special treat, such as being excused from a chore or getting to choose what is for dinner that evening. To order a copy of The Last Ornament (ISBN 978-0-9764098-0-9) in time for the holidays, visit Amazon.com, BarnesandNoble.com, or Borders.com.